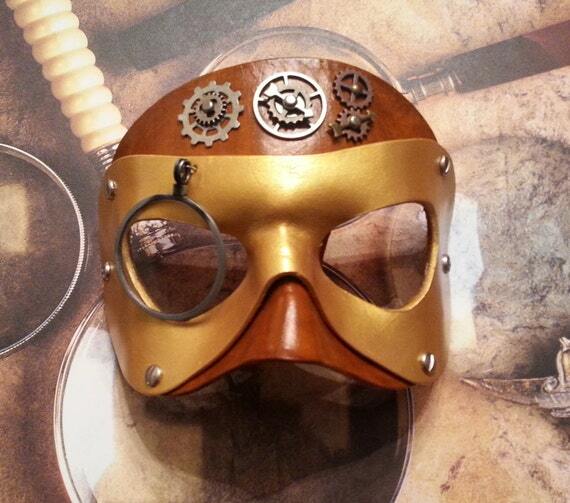 Topic: A different kind of art... masks! Not the art that really fits here... but something cool to show off none the less. 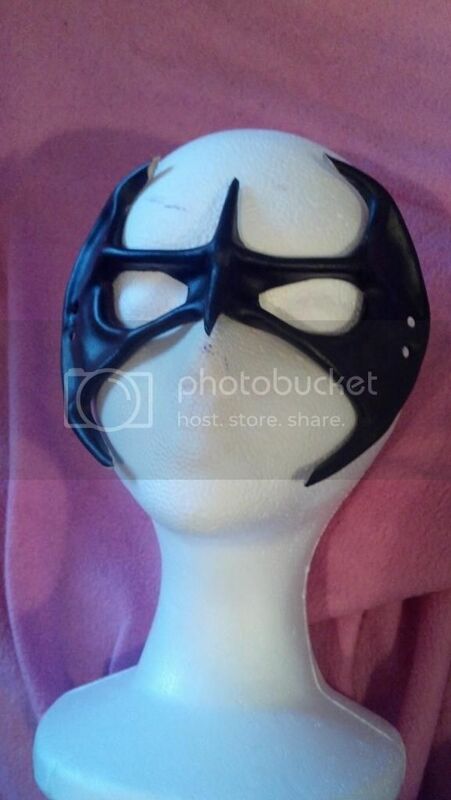 Started doing leather masks. Something I been wanting to do a long, long, long time and finally got it going. Have about a dozen masks made so far. 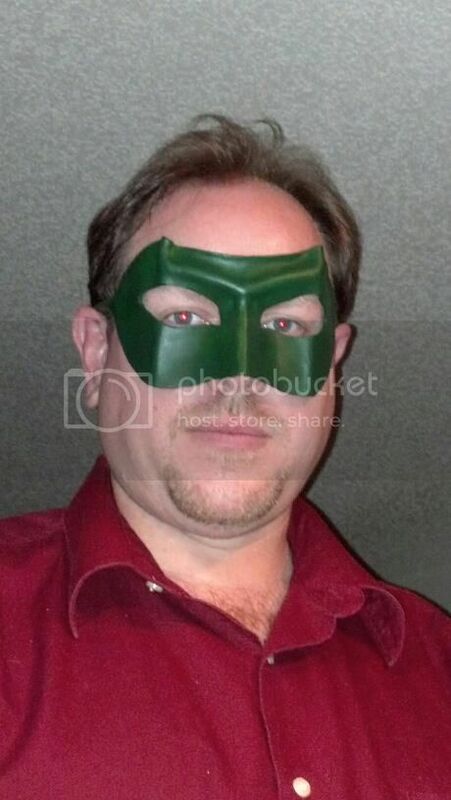 Most of them are the Green Hornet and Lone Ranger style masks. Played around with a few other designs. 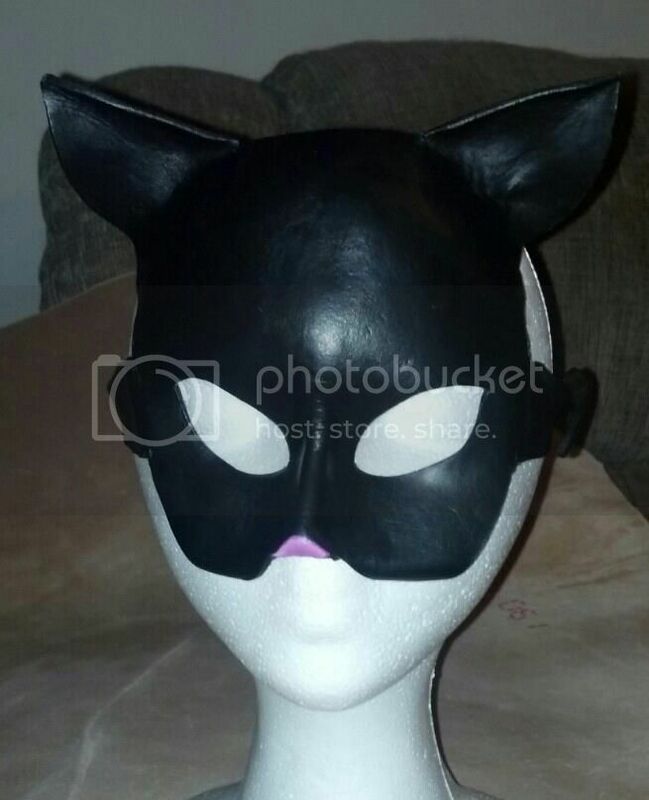 Did a Catwoman style for my fiance's niece. 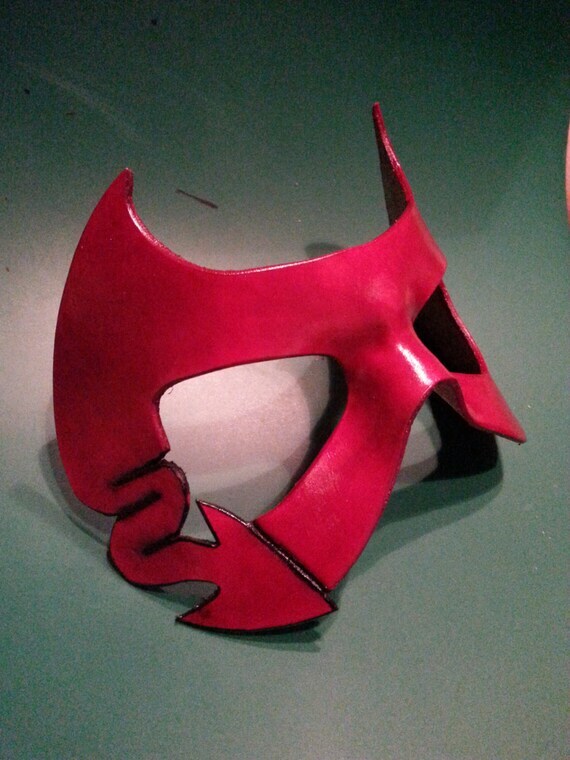 Just finished a Nightwing mask and starting a Bayonetta mask at a friends request. Let me know what ya'll think. Re: A different kind of art... masks! Pff. These fit here better than Ponies ever did. Amazing work, RTT. Good fun! How are you putting these together? Vegetable tanned leather is the material used. First a pattern is picked. Next, it is soaked in hot water for a minute. The mask is then cut out and is then a single piece of leather that is dried, formed and shaped until desired results achieved (The time consuming part!). Then finally painted and decorated. 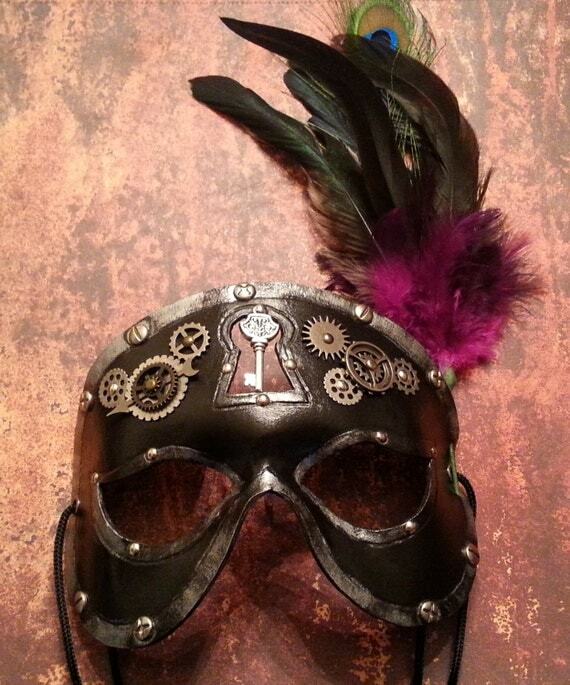 I've seen some amazing masks made and in awe of the crafters ability. Starting with simple hero masks first and slowly working my skill up... but I hope to be doing some amazing stuff, like what I've seen. 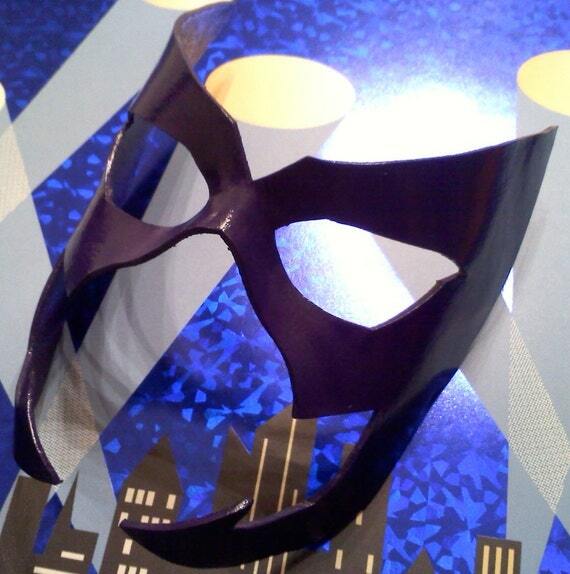 The best thing about the masks is they are incredibly sturdy and that they will last a lifetime! Once dried, they become incredibly stiff. Which gave me an idea! Instead of using holes and tie offs in the back with cords, etc... 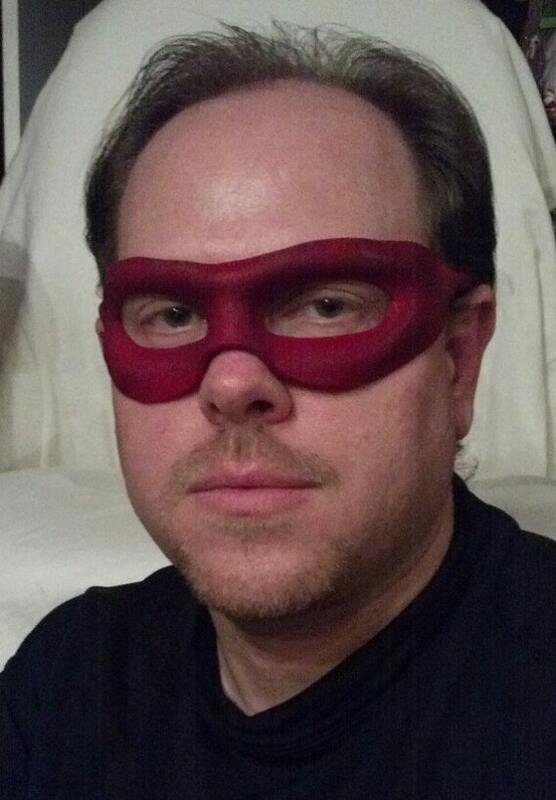 I've made half the masks wearable like a pair of glasses with temple wraps. 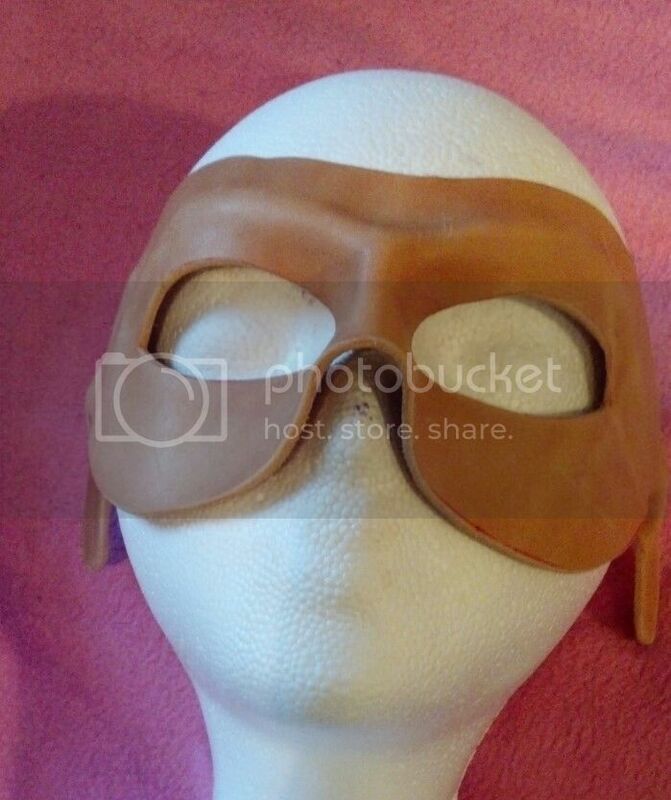 The eye masks still look better with cords however. 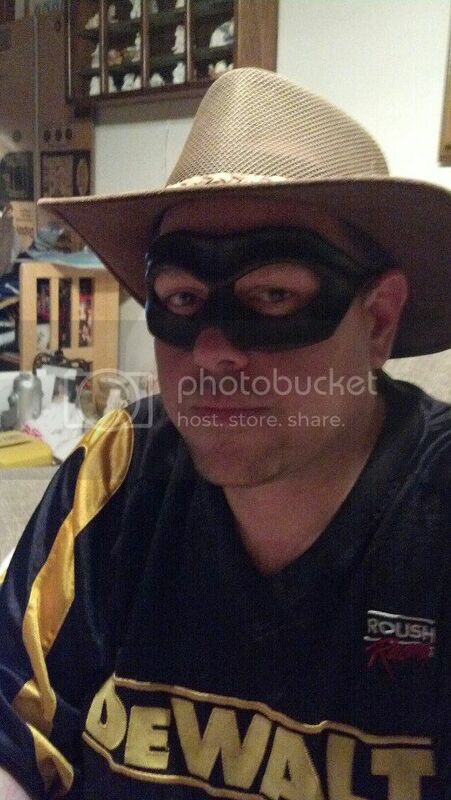 Lone Ranger style mask, still in progress. I have plans for this one. Needs paint still, then to send it away to a friend I haven't kept up with lately as a surprise. Have 2 others I painted purple for a friend who likes the Riddler. Purple is too dark, but I still like them none the less. 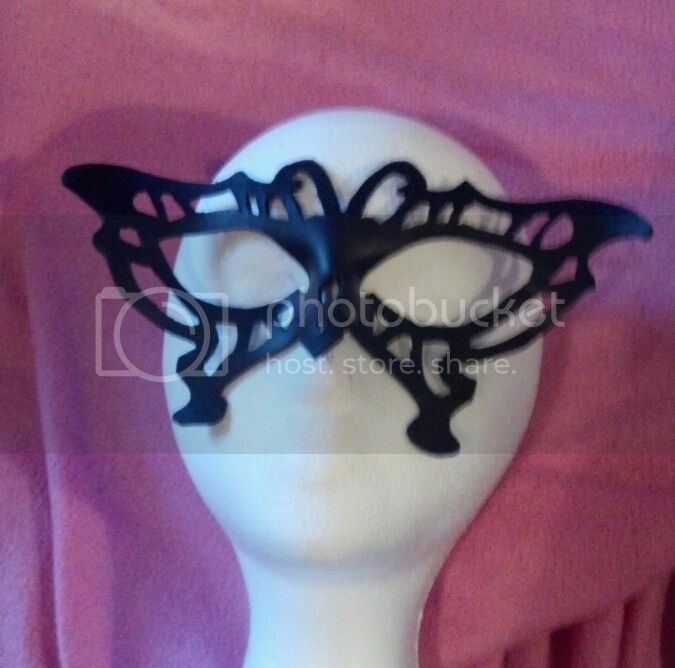 Bayonetta butterfly mask, still in progress. Request from a friend. Not much shaping to it, mostly flat. Came out a bit too rough for my tastes, may do it gain. 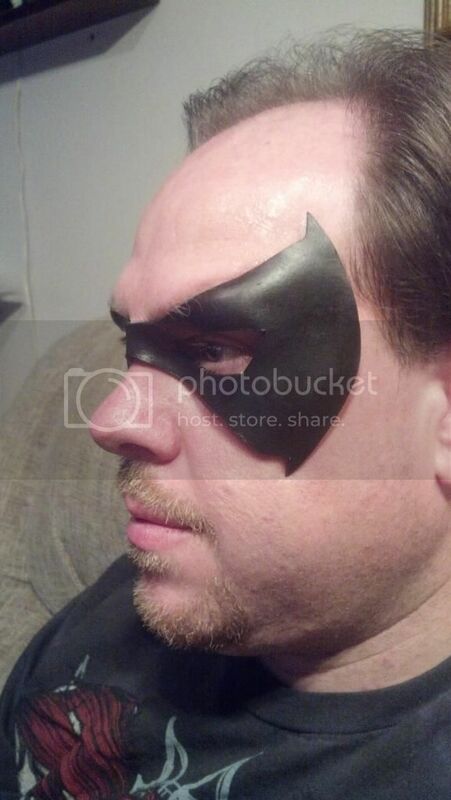 Nightwing's original mask, still in progress. Request from a friend. 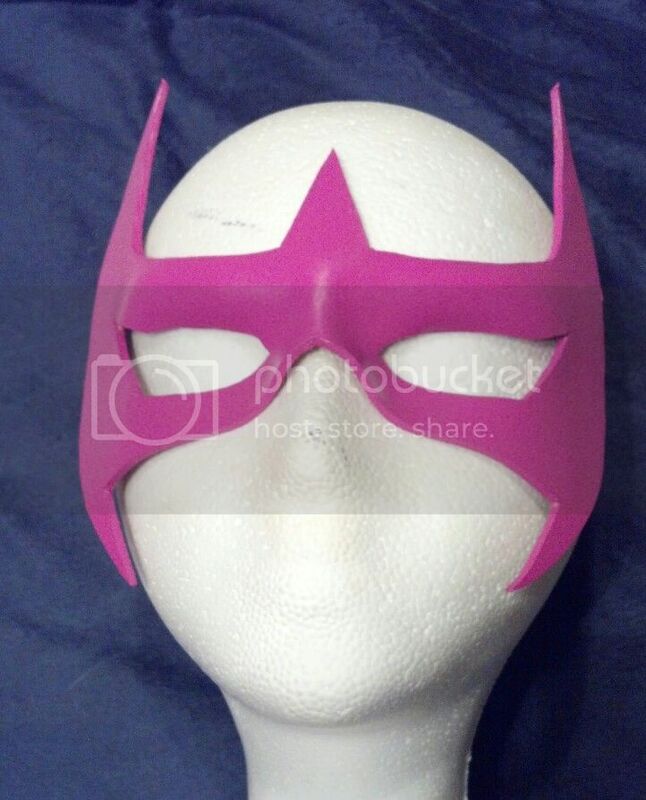 Another flat mask, with a little molding. Really liked how it came out. 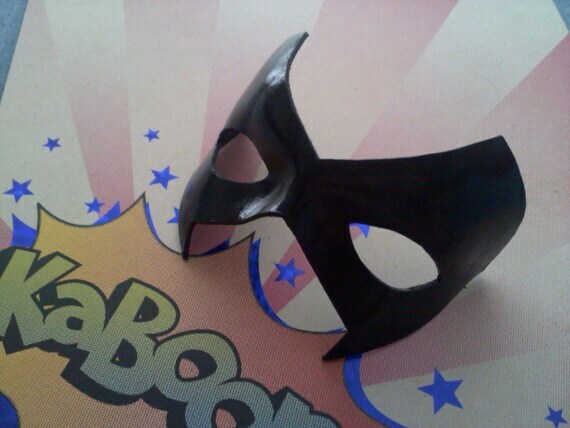 Nightwing's most recent mask, still in progress. Request from a friend. A lot of molding on this one. Not quite what I wanted, but still good none the less and he was thrilled with it. These are cool RTT, thanks for sharing. Thanks, I'm really enjoy making them. Even getting asked by some friends and others to make masks for them, looking forward tot he challenges. Thanks, my pleasure to share. I had the opportunity to make a few more. I also discovered spirit gum does work on leather! These are interesting. The edges are so clean cut, especially on some of the more complex designs. Nice work. Thanke' FF. I appreciate that. I've become much better with the cuts and that is just picking up little tips and such on technique from others. I've learned quite a bit and it's amazing how the smallest change can make a world of difference. Some sanding of the leather also helps. Looking at my first mask, and my lastest mask - its a huge difference. So much so I'm redoing the Butterfly mask. My friend loves it, but knowing I can provide better for her makes me want to do so. Speaking of, here is what I've done lately. 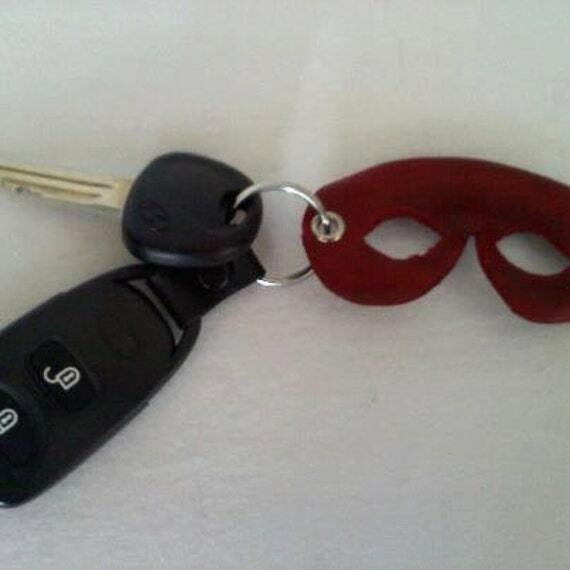 Turn ordinary cars into your super powered vehicle... turn your home into a secret hideout! Turn pets into sidekicks instantly! Those are some really well done masks, RT...Bravo! Some new hero inspired stuff. Some other masks, trying to up my game a little. Sweet work man. I honestly wish I had a use for one of these, they look really well done. This is only minor quibble, but you might want to make some smaller thumbnails and link to the bigger images. 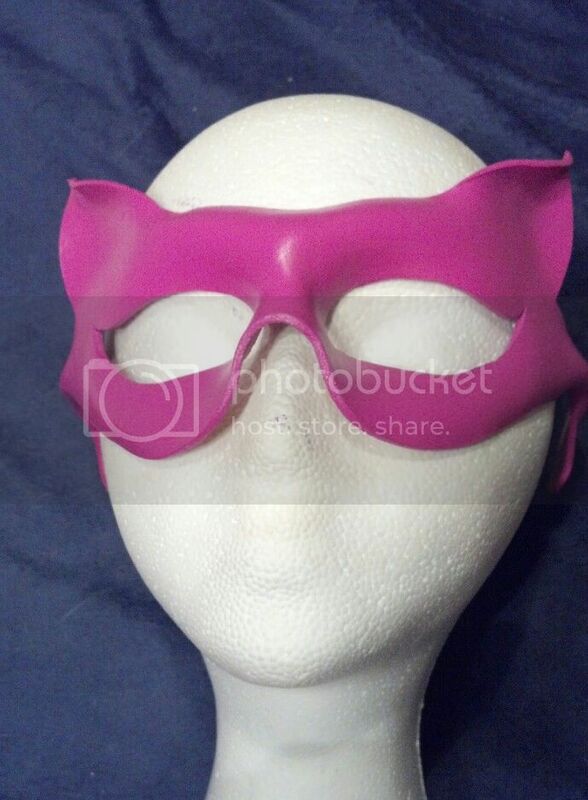 I have a widescreen laptop and I'm having to move the post around to see the whole masks. Nice tip by the way... much better on the screen I would imagine. I try to keep the masks affordable, under $50 so people can buy them guilt free. In fact, thinking of dropping the costs of all the eye masks to $25. 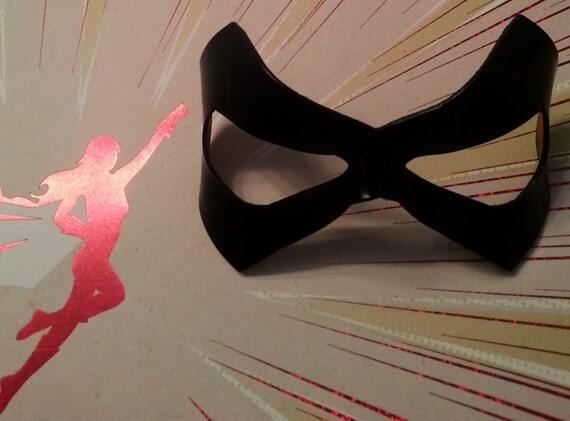 Most of the masks are $30 and only the new ones are $40. Nothing hitting $50 yet. How the heck did I miss this the first time? Rich, these are great! I really like the die-cut on the Aoibhinn and the Huntress and Nightwing ones look very sharp. Very VERY nice. You have an amazing talent here RTT, I'm really impressed with these. These are awesome! I'm in awe of people who can create art in the real world. I'll have to go through your catalogue properly when I get home, I reckon. 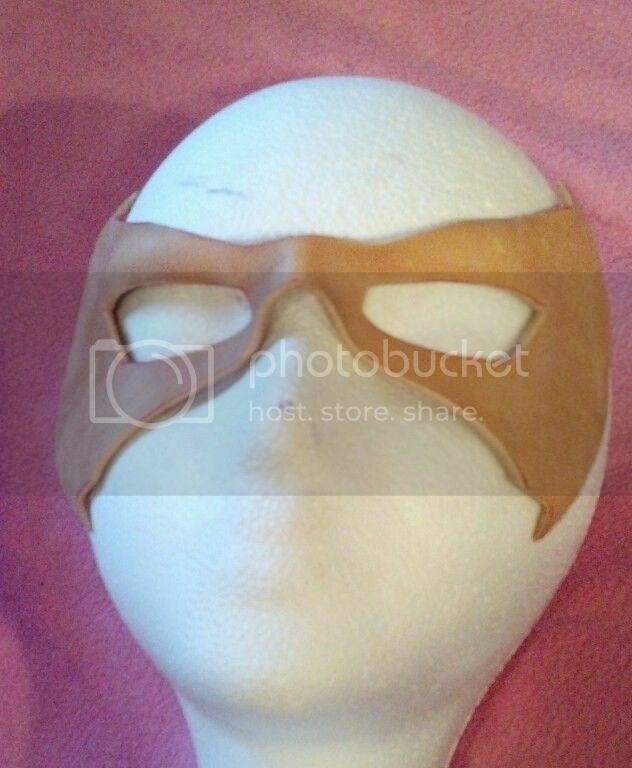 Newest mask this weekend... Damian Wayne's Robin. Been awhile and lots of new masks to show off, but I thought I'd display this one first. A few possibilities for this mask with just a few little changes. ooo... very nice. I thought "Enchantress" the moment I saw it. Glad to see more of your work RTT. These are so cool. 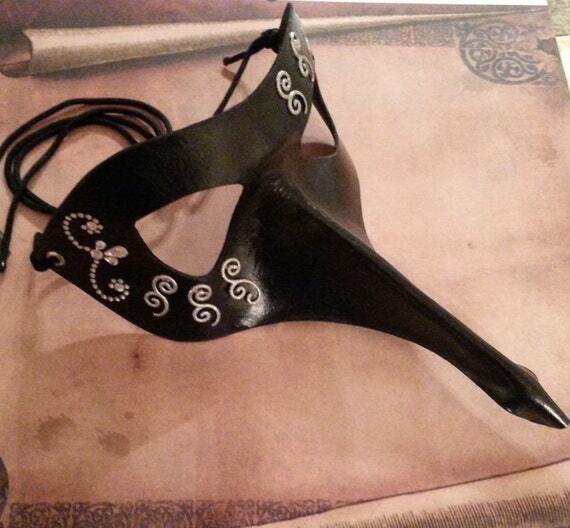 Cyrano De'B, a Venetian style decorated half mask.